Celebrate with the word of God this Holiday season with this beautiful leather Bible. This Bible makes the perfect Christmas present for just about anyone on your list this season, and is made with such high standards that can easily become a family heirloom. The slim and compact design of this Bible was specially intended for on-the-go inspiration. 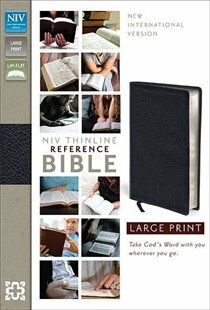 The large print in this extra-thin edition makes it easier to read, and center column reference system is perfect for more in depth study of your favorite scriptures. This portable and easy to carry leather Bible is a must have spiritual reference for everyone on your shopping list this Christmas. Share the word of God with your loved ones and order your copies today!